Check back with us about the OP&D annual concert being planned for November, 2019. Nothing stirs the emotions like the sound of Bagpipes! Omaha Pipes and Drums is a registered 501(c)(3) teaching organization providing FREE bagpipe and drumming lessons. 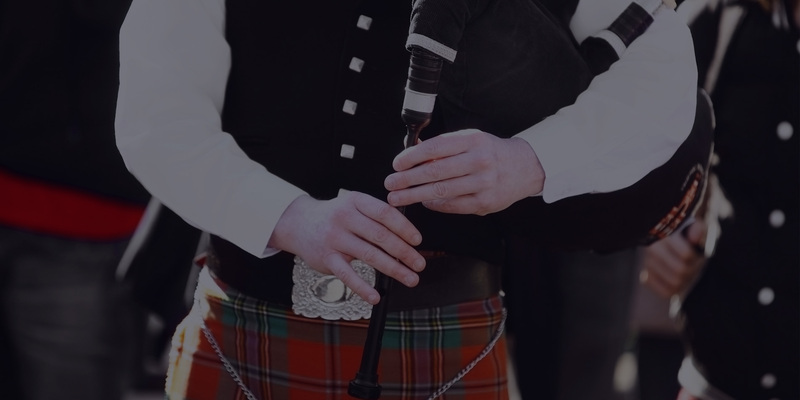 The Band offers scholarships to members and students to encourage participation in local, regional and national piping and drumming schools and workshops. Our CD ‘On the Green’ is available for the purchase price of $7 each (plus $3 S&H). Recorded shortly after the Band’s competing in three games in Scotland – North Berwick, Bridge of Alan, and the World Pipe Band Championships in Glasgow – ‘On the Green’ makes a perfect gift or addition to your music collection. Click here to download an order form. Be a band booster and wear the Omaha Pipes and Drums Clan Badge for $10 each (S&H FREE). The custom pin cloisonné (enamel and metal) badge features the band’s arms: A lion rampant Gules armed, overall a shield Azure, a saltire Argent, charged with a bison passant Sable. Around all is a belt and buckle inscribed Omaha Pipes and Drums. Supplies are limited so order TODAY. Download an order form here. Mid-week evening lessons are offered by John Brady. The Omaha Pipes and Drums does not and shall not discriminate on the basis of race, color, religion (creed), gender, gender expression, age, national origin (ancestry), disability, marital status, sexual orientation, or military status, in any of its activities or operations.